Easily convert nearly any incandescent Mars "888" Traffic Breaker to the latest and most efficient LED technology. The kit takes less than 30 minutes to install, but adds thousands of hours of maintenance free life to the beacon. Long lamp life—LEDs rated at 50,000 hours versus 300 hours for incandescent. 50% lower power draw—less than 1.5 amps at 12VDC. Durable light source with no fragile filaments to break. 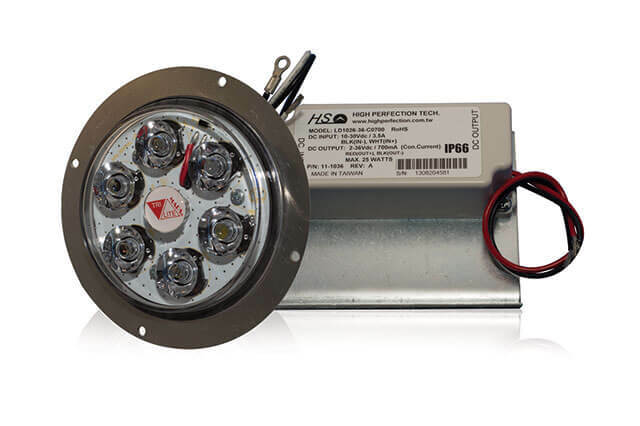 Five year warranty on the LED module. 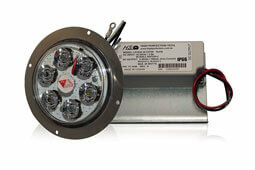 Upgrade Kit Includes: LED light module with heat sink, DC LED driver, wire nuts and ties.